It’s summer, and that means nice weather, pool parties, beach days and relaxation. Summer shouldn’t mean long days at the office, cooped up in a small space and missing all the outdoor fun. If the latter describes how you’ve been spending your time, perhaps now is a good time to start outsourcing some of your workload. Let a program do the annoying, tedious tasks your business requires to survive (and thrive), leaving you more time to enjoy summer with family and friends. Workload automation might seem like a dream come true, but it’s important to understand that not every automated program is going to be right for your business. The land of workload automation is more complex now than ever, and there are an abundance of tools out there vying for the chance to handle your business tasks. So which one(s) are right for you? Read below to learn about eight of the most helpful tools in workload automation and how to use them most effectively. Buffer is a social media marketing tool that is geared towards saving you time by connecting to various social media sites and posting on your behalf. They offer three different plans, and each includes varying amounts of assistance based on your budget and goals. As you can see below, the bigger your budget, the more you get from Buffer. But don’t feel like you need to go deep into your pockets in order to make this program a success. Their $10 a month plan still gets you 100 scheduled posts across 10 different social media accounts. Although it’s nowhere near as much as their Enterprise Plan -- which also comes with analytics data -- depending on the size of your business and your future goals, it might just be enough. It's 100 less times you need to worry about making a scheduled post. This would be a very helpful tool if you’re struggling to handle a wide variety of social media accounts. If you have the extra money, the analytic data that comes with the Business and Enterprise plans could also be helpful in seeing whether or not your social media marketing is working -- and thus, whether or not Buffer is a good investment. 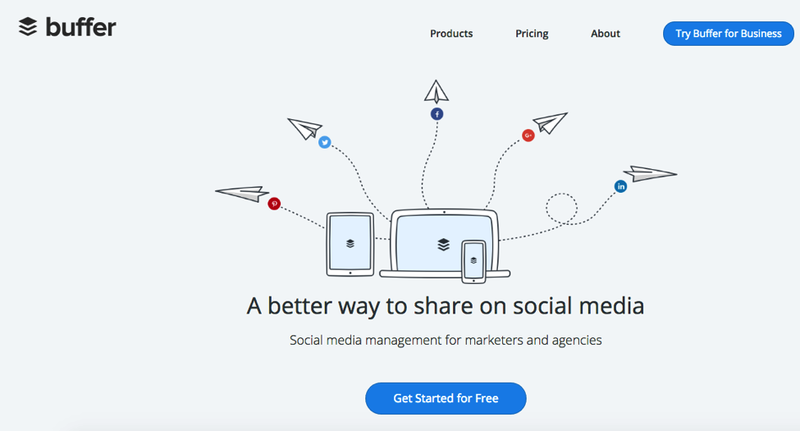 Sprout Social is another type of social media management software that works with many of the most popular social media sites out there -- Facebook, Instagram, LinkedIn, Google+, Feedly, zendesk, etc. Sprout Social is different in that instead of integrating with as many profiles as possible, it focuses on quality vs. quantity. The most expensive plan only includes up to 30 profiles for $500 a month. 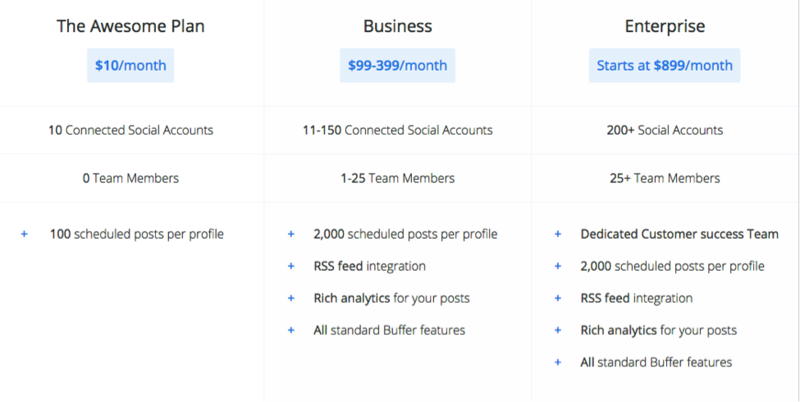 That being said, they offer a lot more goodies for your money than Buffer does, including, but not limited to, analytic data, an all-in-one social inbox, varying types of reports, keyword tracking and message and content tracking. So again, think about your budget and your long-term goals before deciding which, if any, of these social media programs would be beneficial. Sprout Social would be great for businesses that don’t integrate with a ton of social media sites, and instead want to get the most value for the few that they do use for marketing. 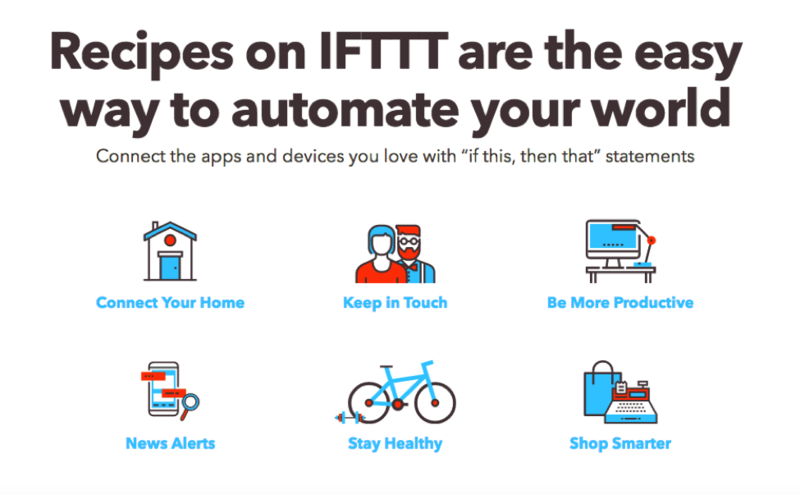 IFTTT is a great way to cut down on your workload and increase productivity by creating “recipes” that utilize “if this, then that” statements. They give you an extensive list of suggestions to choose from to meet the needs of your business, home or personal life. You also have the option to customize recipes to really get the most out of this creative program. For example, you can use this site to easily and quickly create events in Google Calendar, catalog important emails using Evernote (which will also be discussed below), send reminders to yourself and/or your team, keep track of recurring tasks by scheduling to-dos and sync items across various cloud storage folders. TopTracker is a free time tracking app. Free! Who doesn’t like that? Whereas IFTTT is an app designed to increase productivity, TopTracker is designed to track your productivity in order to identify and correct deficiencies. 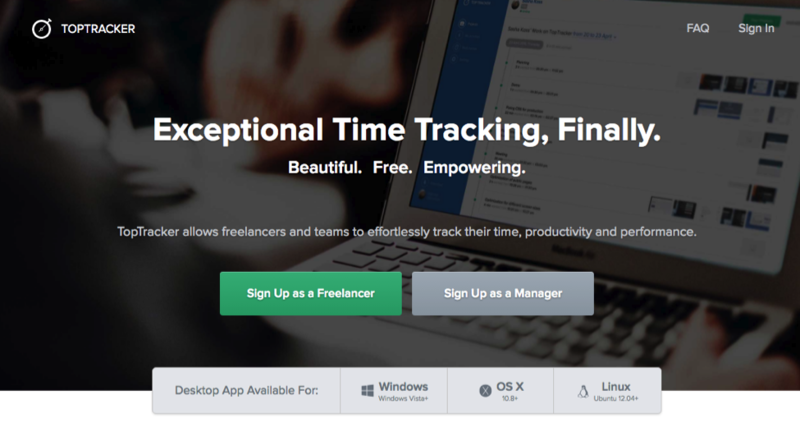 TopTracker was made specifically with freelancers in mind. It can track activity levels and integrate timed screenshots, webcam shots or simple time tracking. It has a basic dashboard that gives you an uncluttered view of all your projects and their progress. You will also get detailed productivity reports so you know how everything is going. In addition, TopTracker gives freelancers a ton of privacy options, such as blurred screenshots and detailed privacy settings. This is a great way for small businesses to easily and privately track their productivity so they know what to improve on in the future. Wunderlist does exactly what their homepage boasts -- it helps users keep their lives in sync by offering customized lists and reminders that you can create based off of your needs and goals. You can access Wunderlist on your phone, computer or tablet no matter where you are, making it very simple to create and keep up with all your daily, weekly and monthly tasks. You can also share your lists with friends, family and coworkers in order to collaborate on the aforementioned tasks. This would be very helpful for a business. Instead of one person slaving away on a list, you can divide and conquer with your coworkers so the work gets done more efficiently. Unfortunately, these benefits come with a price. Their cheapest plan is $199 a month and only includes CRM and marketing automation. The most expensive plan costs $599 a month and includes CRM, marketing automation, sales automation and ecommerce for up to 10 users. There’s also some plans in between that are customized for your various needs, whether they be ecommerce, sales automation or something else. 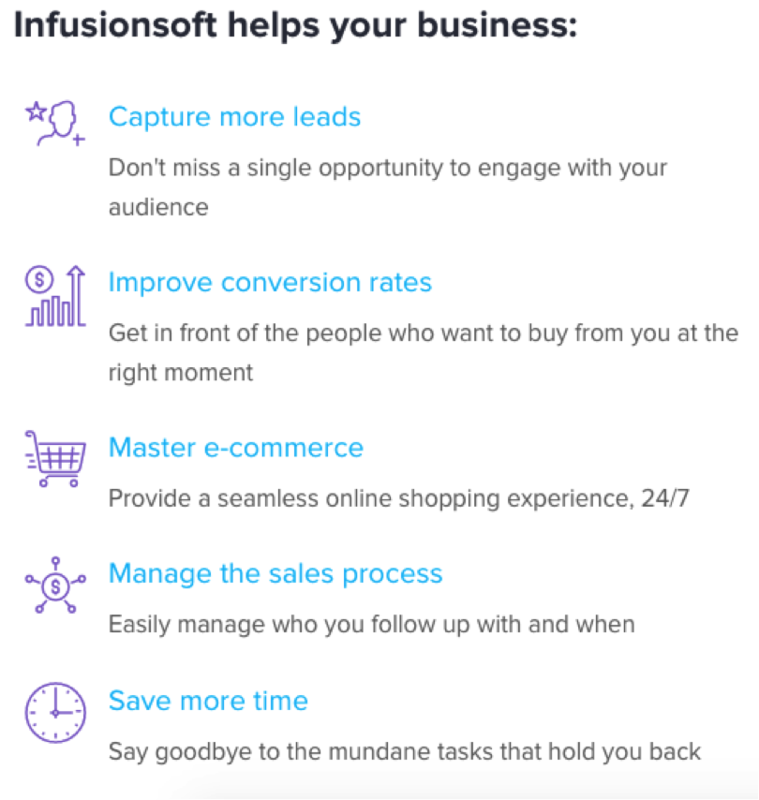 There’s no doubt in my mind that Infusionsoft could help ease your workload by automating so many of your important tasks, but is the time saved worth the cost? Weigh the pros and cons before making an investment as big as this one. Evernote is exactly what it sounds like -- an online note-taking application that allows you to keep your thoughts, creative ideas, lists and more in a space that can be accessed from pretty much anywhere. Similar to Wunderlist, Evernote lets you keep track of photos and notes in an easy-to-find format that can also be shared with others in order to promote collaboration. Both offer free versions of the basic app with the option to pay to upgrade. 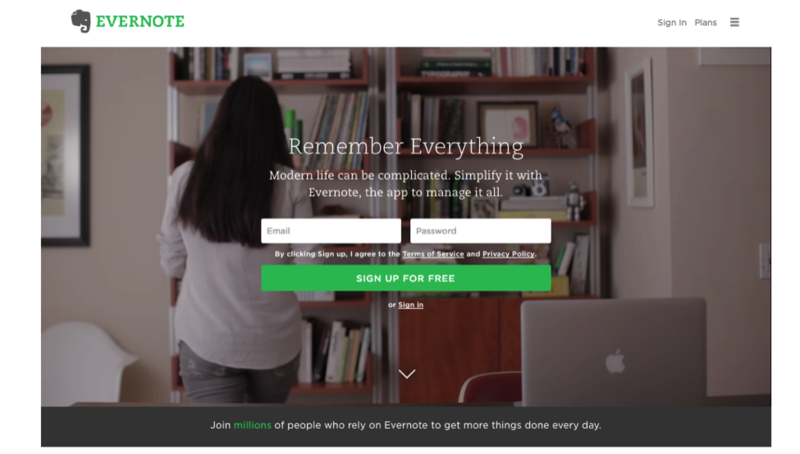 Evernote also has a specific business option for $12 a month per user. The business version encourages teams to work together and share feedback on projects, and individuals to keep track of and sync their lists, images, files and web research all in once place. This is a great app to use to promote working together and team-building among coworkers, which will in turn lighten everyone’s workload. Who wouldn’t be interested in that? Successful workload automation can help businesses combine both customer expectations with their business practices, resulting in happy customers and a more efficient business model. Who doesn’t want their business to operate more efficiently, especially during the summer months when there’s so much to enjoy outside of the office? Start incorporating one or more of the tools above, and you’re guaranteed to have business success, more free time and happier employees. How are you going to start? Comment in the section below!